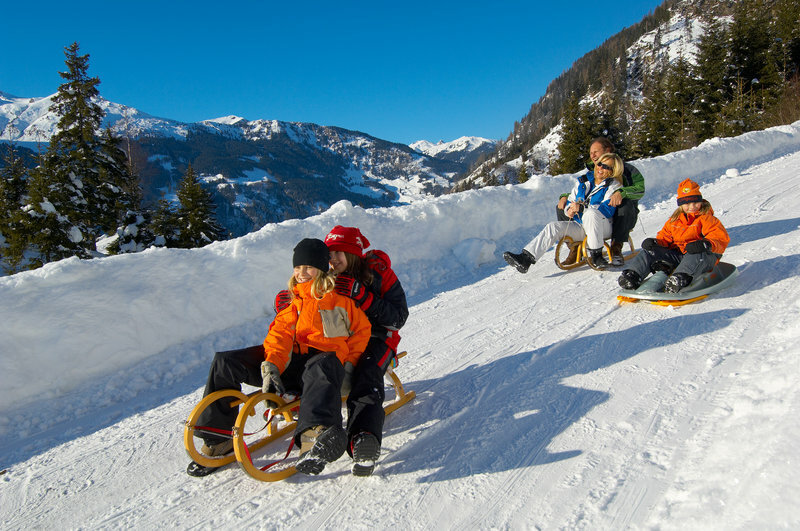 Tobogganing in Gastein is far less laid-back than it tends to be elsewhere. On wooden toboggans, which were once used to transport mountain hay, you will streak at break-neck speeds down the mountain. Correct cornering techniques and shifting your weight are a must if you intend to catch up with your kids! A sledding expedition becomes a truly special experience if you begin your ride down into the valley after nightfall. Ride the Bellevue-Alm chair lift, also in the evening.